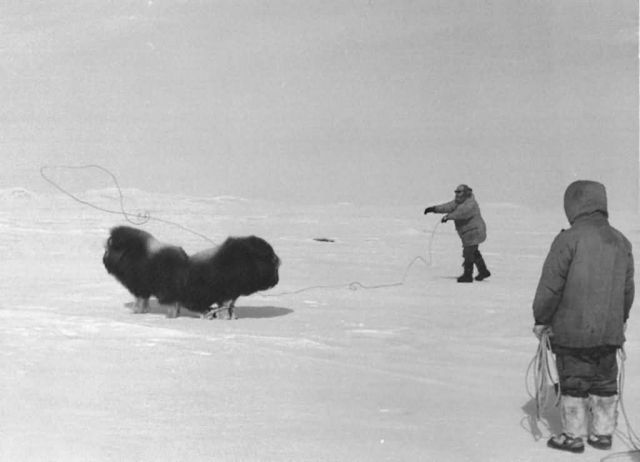 Musk Ox transplant from Nunivak to Nelson Island. "Howard Wood (ADF&G) still trying to rope an uncaught calf." Fred Don standing by. Duchikthluk Bay, Nunivak Island.